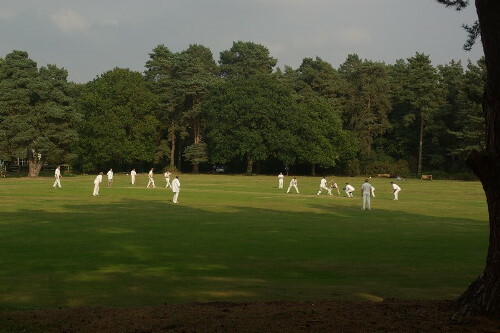 The Cricket Club was founded in 1878 at the Forest King Pub (now High Hazard) and a patch of heather was cleared by the villagers and levelled by hand. So began the Blackheath Cricket Club, with its present ground. The present "square" was laid down in 1896, and extended in 1908 and again in 1949. For many years the Club used the Forest King as an unofficial pavilion, but when it closed down in 1954 the Club resolved to build their own pavilion and in 1957 the present building was opened and this was extended in 1972.